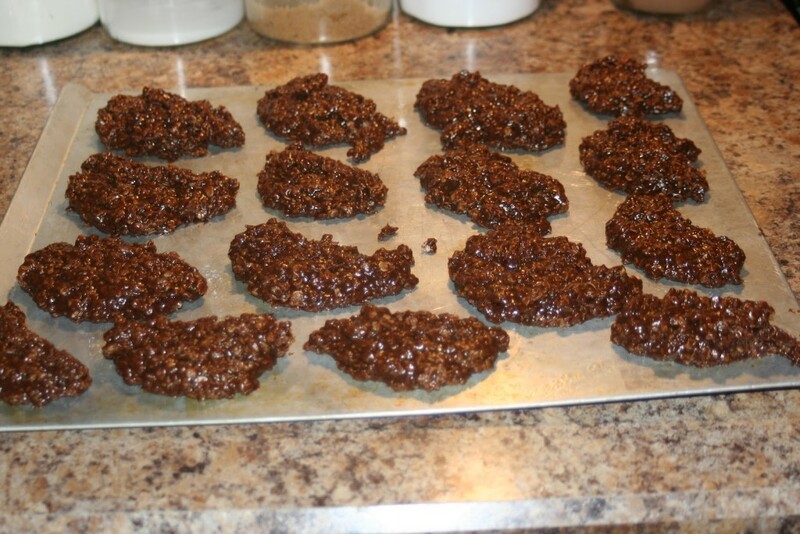 I thought no bake cookies were a thing of the past for me with both of my kids being allergic to peanuts. I have to admit my mom would sometimes make them for me and I would go down there and eat some and then wash my hands, brush my teeth and wash my face before coming home to the kids so that we didn't risk a reaction. Then a lady from the page on Facebook suggested I try Soynut butter and then another suggested Sunbutter. I think the sunbutter has a better taste than Soynut butter I am just excited that we have two alternatives. When they were first done I could tell there was a difference between ones made with peanut butter and ones made with Sunbutter. 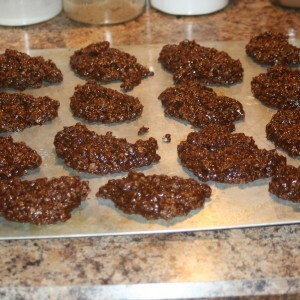 On the second day you could barely tell the difference and I was one really happy person since no bakes were one of my favorite things. My daughter loved them and my son even said they were good, which is huge because he likes the same foods over and over and doesn't like to try new ones very often. You can buy Sunbutter or Soynut Butter at Whole Foods and I have even found them at my local Kroger store. I will say they have a great organic food section that a lot do not have. You can also get them in bulk on Amazon, which is cheaper. Both of these that I have found are completely nut free and made in a nut free facility. Be sure to check the packages to make sure nothing has changed if you decide to buy them. I am always double checking things when it comes to the kids nut allergies. 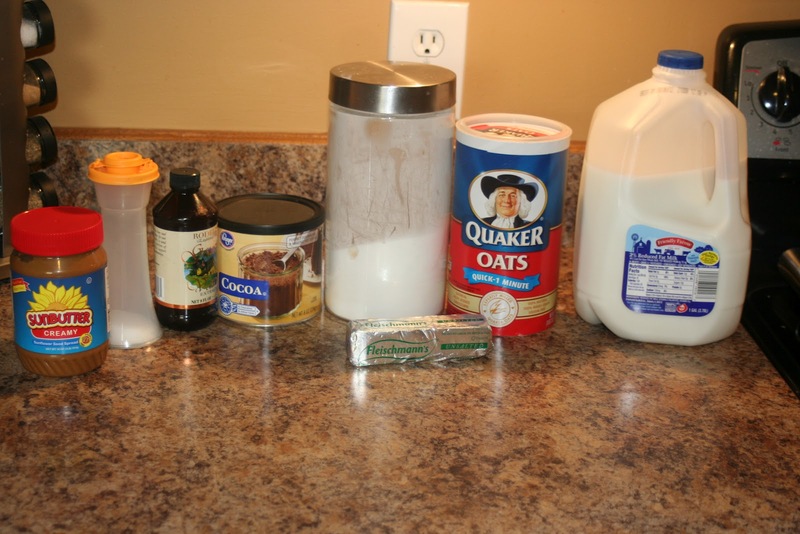 Mix top five ingredients. Cook to rapid boil for three minutes. Remove from heat. Add vanilla, Sunbutter and oats. I add the oats slowly to make sure they aren't getting to thick. Sometimes I use a little less and sometimes a little more. You should be able to tell if it is too thin/thick. (I have noticed if it is rainy out or really damp then sometimes the cookies don't set up and so I will add a little bit more oats...I know that sounds weird). Spoon on buttered plate/tray/cookie sheet to harden.